Vivo has launched Vivo Y91 smartphone in India. It has a 6.2-inch HD+ 19:9 aspect ratio Halo FullView display powered by Helio P22 Octa-Core 12nm processor with 2GB of RAM and 32GB of internal storage. Dual SIM device runs Android 8.1 (Oreo) with Funtouch OS 4.5. It has a 13-megapixel rear camera along with a secondary 2-megapixel camera and 8-megapixel front camera. It has rear-mounted fingerprint sensor, Packed by a 4030mAh battery. 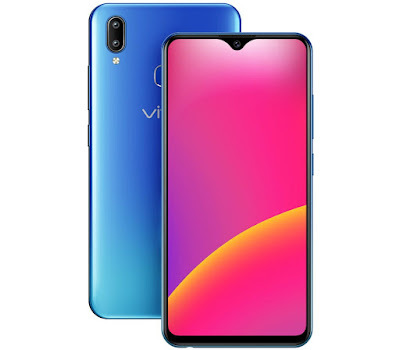 Vivo Y91 comes in Starry Black and Ocean Blue colors priced Rs. 10,990 available on Amazon India, PayTM, Vivo India E-store and all offline partner outlets. At this price point Zenfone Max pro M1, Nokia 5.1 Plus offers much better Value.